The CT 230 is bass reflex shelf speaker containing a modified Visaton BG 20 full range driver and a Visaton TW 6 NG cone tweeter. 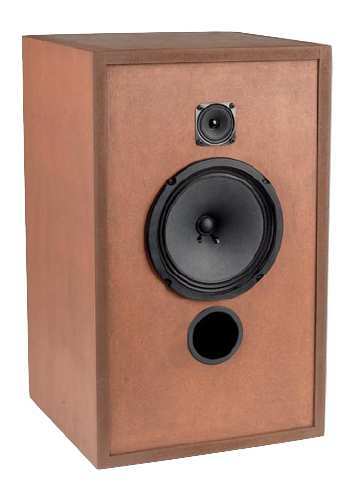 Due to the still high enough efficiency of 89 dB (1W/1m) and the built-in impedance correction this speaker is particularly suited for valve amps. The BG 20 is supplied by Visaton with a cone diffuser, a small funnel type attachment. Many full range drivers used to have this type of attachment in the past. For this kit the diffuser has to be carefully removed with a carpet knife (see description in Klang+Ton).